Pushed to the brink of exhaustion, a tiger pounced on his trainer and attacked him during a circus performance. The audience stood up in shock as the felid bit the man and dragged him around the stage of a theatre in Liaoning, China. In a 10-second-long video clip that was shared on Chinese social media last Sunday (Aug 20), another trainer was seen rushing to the man's aid by beating the tiger with a long rod, South China Morning Post reported. After receiving several blows, the animal let go of the man. According to a theatre employee, the trainer suffered some slight scratches from the incident. The performances have since resumed and the show is often sold out, he said. 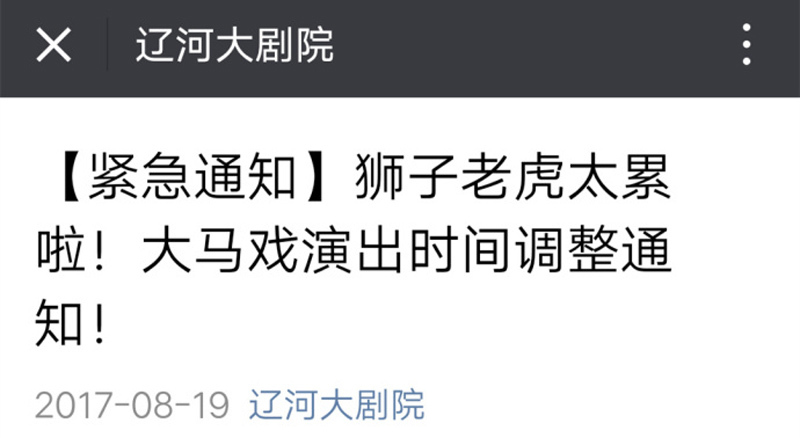 Just a day before the video clip surfaced online, the theatre announced on its Weibo account that it had cut down the number of circus performances from thrice to twice a day. 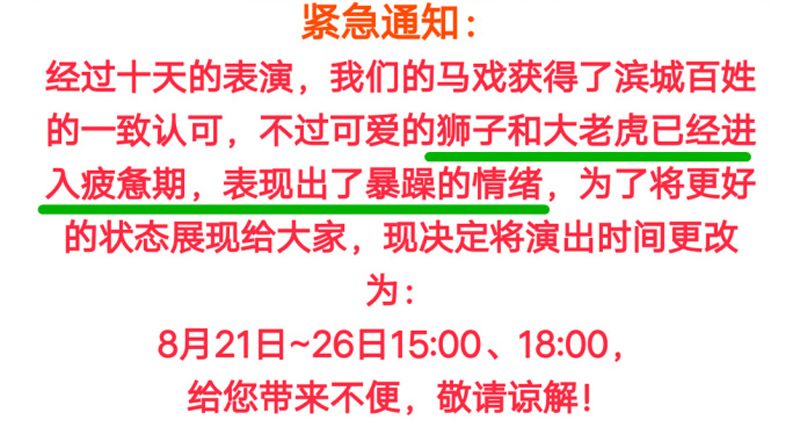 It said that the lions and tigers were exhausted and had become irritable after performing for 10 days. The animal performance is the show's star act with two trainers performing with lions, tigers, black bears, dogs, and monkeys. The tigers had to cross a metal bridge, jump through fire rings, and perform other moves at the trainer's command. A reporter who watched the show on Wednesday (Aug 24) observed several instances where the tiger showed signs of annoyance. He also noted the danger of watching such performances. The only safety device separating the animals and the audience - who are seated less than two metres away from the stage - was a four-metre-tall iron fence. 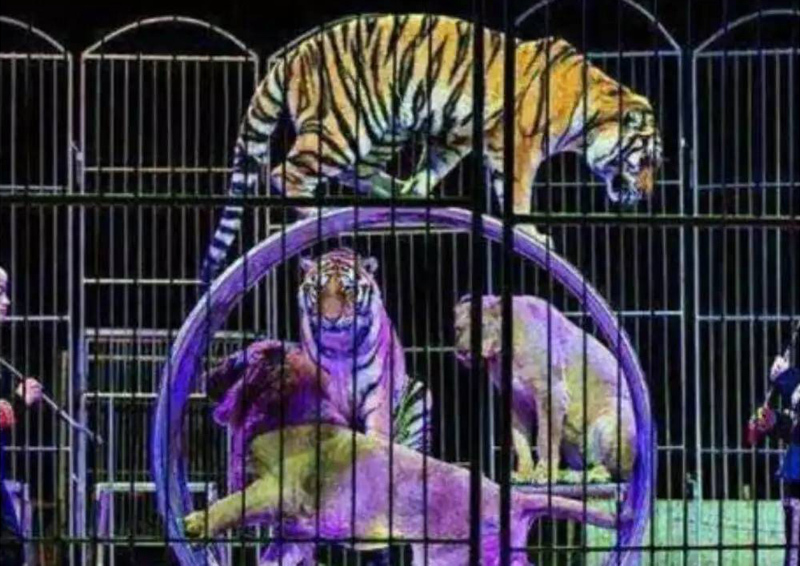 Since the video clip was shared on Aug 20, it has elicited strong responses from netizens on Weibo, with the majority of them condemning the animal cruelty displayed in circus performances. Many of them encouraged others not to patronise such shows and said that wild animals should not be kept in captivity. Others did not sympathise with the injured trainer. One of them said that he believed that the tiger couldn't have done much damage as its fangs and claws had been removed. This is the latest incident of tigers suffering cruel treatment in China. A circus in Hunan was slammed earlier this year for tying a Siberian tiger down so that visitors could sit on it and pose for photographs. Another zoo in Hangzhou was ordered to suspend all animal performances after a video clip of the rough handling of white tigers went viral online.